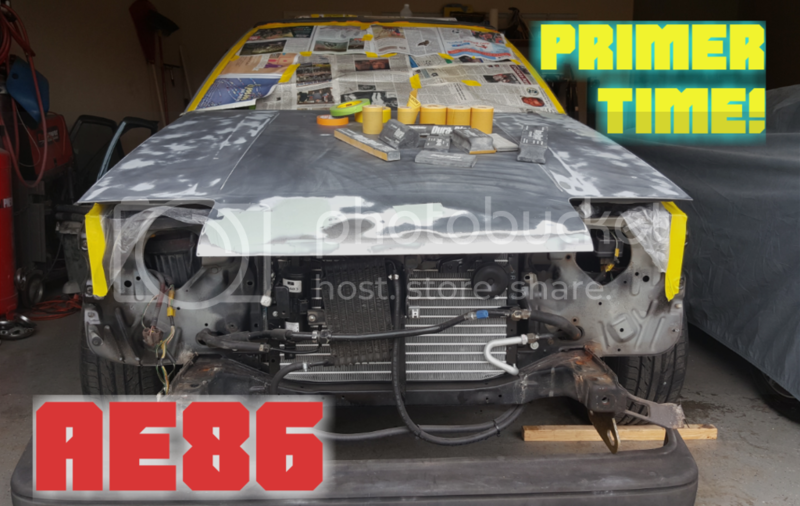 Finally get the 86 in primer....and do some last minute things. More primer and block sanding....plus....more. Removal of the hatch glass and more...plus finally get some base and clear coat down. 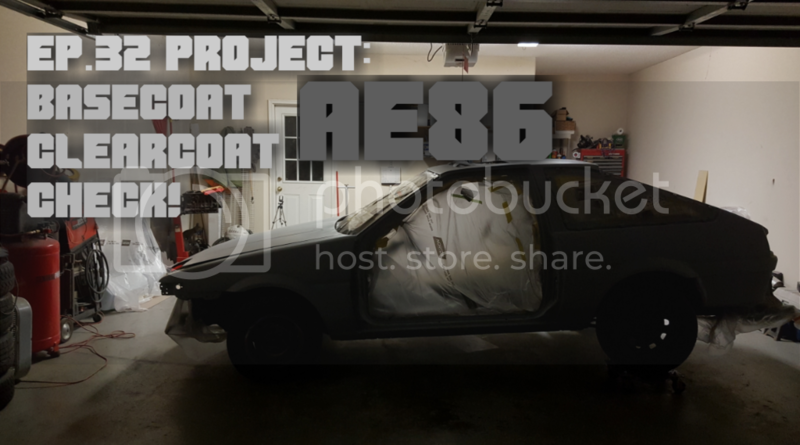 Join me as i finish painting the 86 and put some of it back together....but not without it's difficulties. Also, special thank you to a subscriber....watch and see. Ep.34 Reassembly......but not soooo fast. Reassembly may seem like a breeze, but remember this is a resto-mod project so all the old nasty parts need to be restored before being put back on this fresh newly painted machine. Thanks for your patience. I restore these old tired tail lights back to new condition. Plus hatch glass, tail light, and headlight install. Ep36...Finishing up the exterior bits and starting on the interior!!! 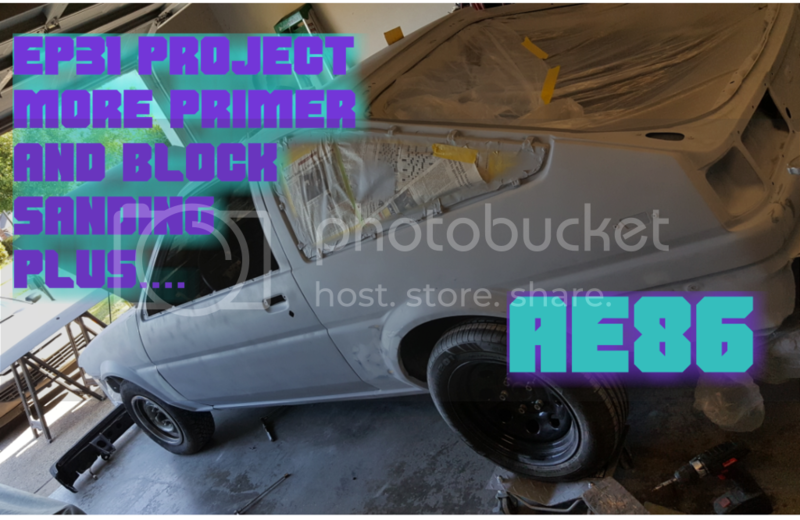 This ae86 project takes another step forward. Also I clean up the exterior door handle and add some thermo-coustic barrier to the floor of the 86. Woa dude, you're younger than I thought! haha. Good videos man, I haven't seen many but I like the detail. Many 86 channels on youtube are just horribly drift bucket oriented and really annoying to watch. CloudStrife wrote: Woa dude, you're younger than I thought! haha. What? You mean you haven't subscribed yet? Haha......it's all good. With my channel i'm trying to actually show the work as I go rather than just making videos of showing what has already been done....very challenging i must say as you can't show everything...anyway, glad you checked it out.....thanks. Build is coming along great man, good work. shagymc wrote: Build is coming along great man, good work. Thank you sir! I actually see a light at the end of the tunnel. looks like you will have your hands busy for a while lol Suspension work is a lot more fun than interior work for sure. I went the easy route and just left everything gutted and used the T3 panels. It's starting to look like a car....nothing brings it together like getting the interior installed. 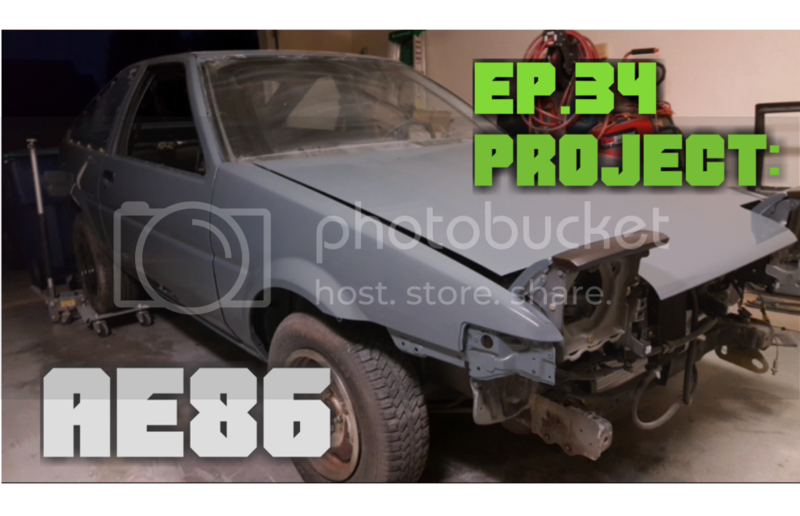 This episode I take another step forward to getting this ae86 on the road again. Check out the video. In my previous episode I left with a bad taste in my mouth as my diff was making a loud whining and my rear brakes were dragging me down....here I take 2 steps back in order to take a step forward. I rebuild the differential and add a rear brake adjustable proportioning valve.....but will I be able to redeem myself and have a proper test drive? Great video man! I loved seeing the backlash measurements with the micrometer. I've never made it that far with mine but I feel like it might be coming up and I feel pretty confident I can handle that tedious work. Might need a few beers to keep the patience going but still doable! Keep crushing it! shagymc wrote: Great video man! I loved seeing the backlash measurements with the micrometer. I've never made it that far with mine but I feel like it might be coming up and I feel pretty confident I can handle that tedious work. Might need a few beers to keep the patience going but still doable! Keep crushing it! Short stroke conversion video. Tell me whatcha think? Hope you enjoy. I refresh the hubs with new bearings and revamp the brakes. Then i finally install the coilover suspension i assembled from the previous episode. Then of course the all important test drive. Enjoy the vid. Sorry it's been sooo long since my last video...I reveal what has been taking up all my time. Then I Fix the fuel level sender and refurbish a battery tie down bracket. Mock up the front and rear bumper covers. Also, Gotta backtrack yet again and fix this exhaust and get this car straight so i can finally start the bodykit install. looking and sounding good man, I love your paint job. Where did you get the body kit from? The fitment shouldn't be that far off I would think. aukword1 wrote: looking and sounding good man, I love your paint job. Where did you get the body kit from? The fitment shouldn't be that far off I would think. Thanks man....here's a link to the body kit...it's just a cheap jblood knock off....wonder if they mistakenly sent me like a wide body rear bumper??? Oh well, I've already started fixing it and that'll be in the next vid. 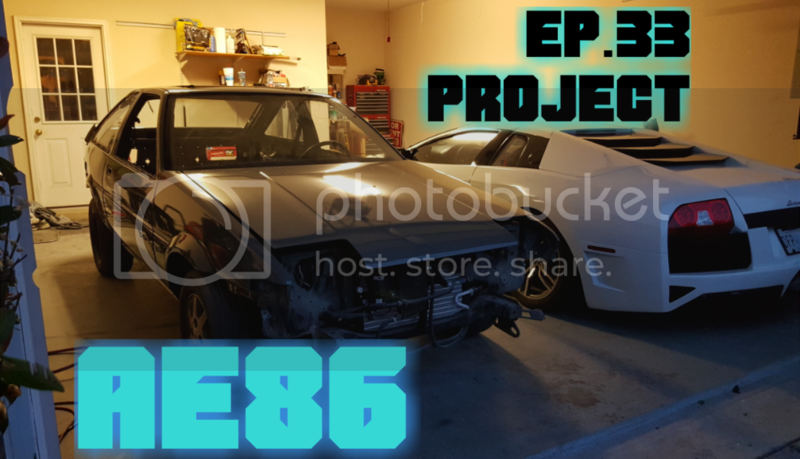 In this first of a few episodes I begin installing the rear bumper on the 86. Cutting and reglassing, Fabricating brackets, and bumper supports to get it to fit properly....what more could you want?? Solid work man, when I work with fiberglass, to me it is easier to saturate the matt first then lay it. I find I get less bubbles that way. It does make a huge mess though on large sheets like you were using. I was digging the side brackets too. I think they'll look great once they're painted. I will always take functionality over cosmetics on pieces like this since no one will really see them. If you are that worried about it, sand em dowm a bit with a DA then get them painted or powder coated! shagymc wrote: Solid work man, when I work with fiberglass, to me it is easier to saturate the matt first then lay it. I find I get less bubbles that way. It does make a huge mess though on large sheets like you were using. I was digging the side brackets too. I think they'll look great once they're painted. I will always take functionality over cosmetics on pieces like this since no one will really see them. If you are that worried about it, sand em dowm a bit with a DA then get them painted or powder coated! Hey thanks a lot man! The side brackets actually don't look too bad after I painted them black.....but like you said...no one will ever see them. Thanks for watching! Doing a lil free giveaway for my Subs! Hit 555 subs! It's a Christmas miracle....enter for your chance to win a cool prize ae86 related. Any update? Miss watching the eps.